If you are a medical practitioner, chiropractor, aesthetician, massage therapist, medical spa owner or work in the fitness industry we would like to introduce you to the benefits of cupping for your patients/clients….and ultimately your business! Cupping which is not new, is based on Chinese therapy that dates back thousands of years old. 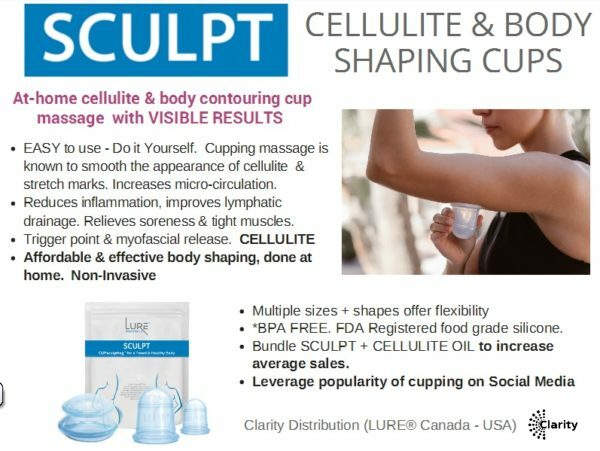 Cupping is an inexpensive adjunct treatment that can be incorporated into a wide range of professional treatments as well, retailed as a “take home” tool for both wellness and beauty. Whether you choose to work with facial cups made of glass or of food-grade silicone, Lure™ brand cups assure you of safety and effectiveness. 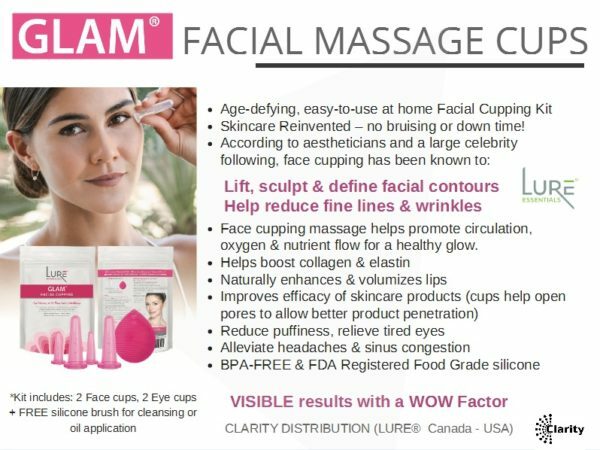 Experience Facial treatment results that are enhanced and shown to be longer lasting when cupping is incorporated into a treatment protocol. Discover how retailing “Home Cupping Kits” enhances customer loyalty while improving your bottome line. t ! 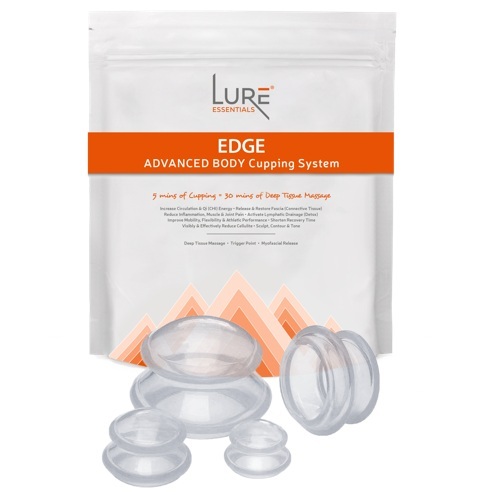 LURE™ Cups are BPA-Free and made of food grade silicone – they are safe, long-lasting cups that are custom engineered for face & body treatments. Perfect for the D.I.Y market as they are portable, effective and affordable. 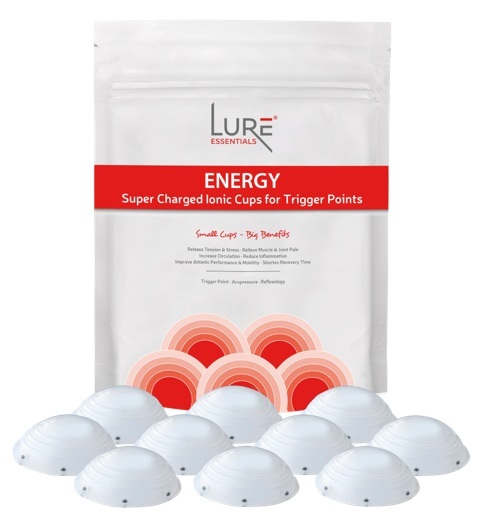 LURE™ glass cups come in a variety of sizes, can be easily sterilized and are well suited for professional use. Increases blood flow – Reduces puffiness in eye area. Moves sinus & lymph congestion. Improve elasticity – soften lines and wrinkles. Cupping can been used for relaxation and therapeutically, to manage a broad range of injuries and/or conditions – including plantar fasciatis, hamstring strains, poor circulation to myofascial restrictions unrelated to injury. 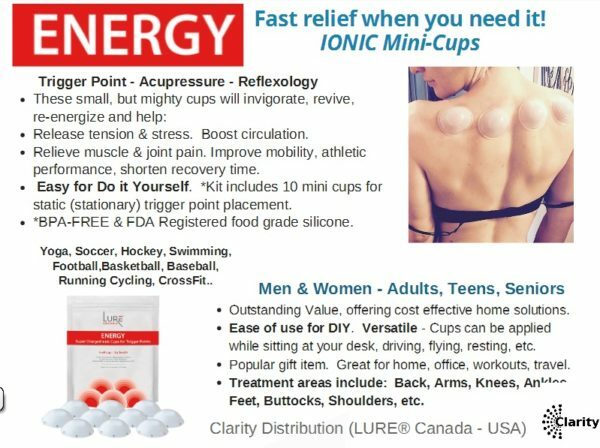 To learn more about the benefits of incorporating cupping into your therapeutic practice and the benefits of retailing D.I.Y cups to your clients, contact us. Demonstrations & Training Support Available – We can show you how to introduce cupping to your business and position RETAIL cupping kits into your retail sales.